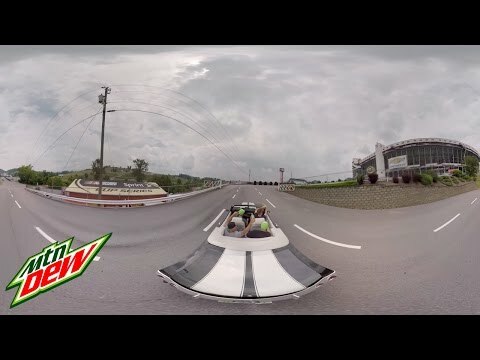 DEW® VR Bristol With Dale Jr.
Let Dale Jr. take you on an epic 360 degree ride through Bristol, Tennessee, in our third Dew VR experience. You’ll be going over 100mph through town and around the track at the iconic Bristol Motor Speedway. Burn rubber at 100mph. with Dale Earnhardt Jr.